We’d love your help. Let us know what’s wrong with this preview of Walks With Rich by Chris Hambleton. Rich Mullins was one of the formative voices in contemporary Christian music and touched millions of lives with his worship songs. He was renowned for playing his concerts in bare feet, worn-out jeans and old T-shirts, along with composing intricate melodies and incorporating dulcimers and tin-whistles in his songs. 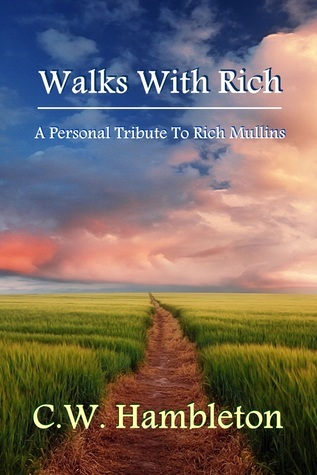 While Rich is best remembered for his hits such as "Aweso Rich Mullins was one of the formative voices in contemporary Christian music and touched millions of lives with his worship songs. He was renowned for playing his concerts in bare feet, worn-out jeans and old T-shirts, along with composing intricate melodies and incorporating dulcimers and tin-whistles in his songs. While Rich is best remembered for his hits such as "Awesome God" and "Step by Step", echoes of his heart and soul are best heard in most of his less popular works. Rich always did seem like a B-sides kind of guy, not wanting to draw much attention to himself or conform to whatever was popular as much as sharing his music with others wherever and however he could. And it is in those B-sides songs that much of his life, soul, and very personal relationship with God are revealed. To ask other readers questions about Walks With Rich, please sign up.